The Pump House Theatre, Watford, Herts. ​Tickets £12 (£11.50 Concessions). Group rates for pre-booked parties of more than 10, on selected performances. Synopsis: Now a favourite of regional theatre audiences, this rollicking comedy, full of sparkle and zest, was named 'Evening Standard Comedy of the Year' when it premièred in 1984. 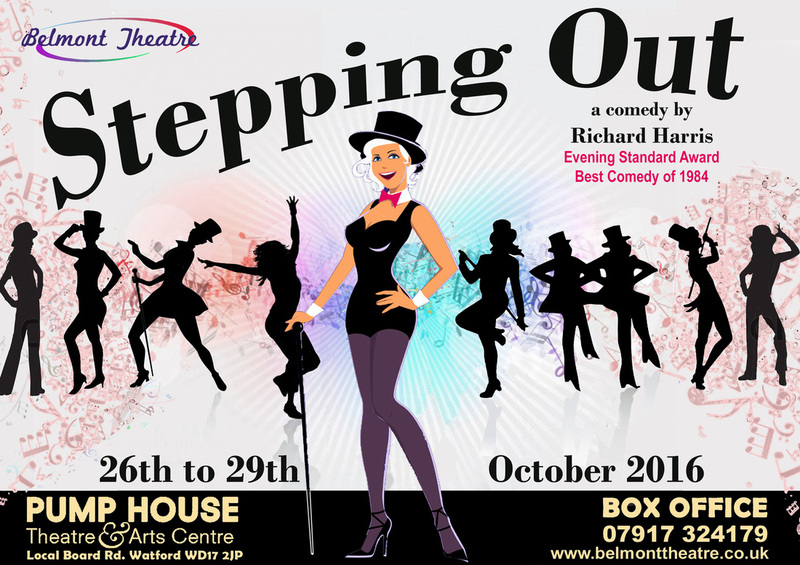 The play follows a weekly church hall tap-dancing class, whose members attempt to overcome their inhibitions and left feet. Mavis, a former professional chorus girl, tries her hardest to teach the bumbling amateurs sufficient skills for an upcoming recital. But before the dancing begins, Mavis must mediate the minor dramas that erupt among this motley, but loveable crew on their way to ‘step out’ of everyday life into the magic of dance and triumph at their recital. The dance routines act as a backdrop against which the relationship and interaction of the characters are played out.